When Our Lady of Grace Monastery was publicly advertised for sale in the spring of 2018, many responded with prayers, petitions, letters, e-mails, telephone calls and visits. We give thanks for this outpouring of support. The sale offering was for 11 parcels of land comprising 873 acres with an asking price of $895,000. After several months of negotiations, on Tuesday, August 21st, The Augustinian Fathers (Ontario) Inc. accepted an offer of $500,000 for approximately 234 acres of land inclusive of the structures, the cemetery and Our Lady of Grace Shrine. The transaction will be secured by a 30 year collateral mortgage bearing interest at 2%. Unscheduled principal payments may be made at any time without penalty. We are asking for your support in lifting the heavy burden of this mortgage form the shoulders of the Augustinian Contemplative Nuns. The configuration of the available parcels results in the acquisition of more acreage than required for the sustenance of the Monastery structures, the cemetery and Our Lady of Grace Shrine. However, ownership of these parcels of land will allow for the upkeep and maintenance of the historic buildings, the cemetery and the Shrine and most importantly, the charism and prayer life of the Augustinian Contemplative Nuns resident at the Monastery. Most of the buffer land on the northwest side of the Monastery Road is essential to the peaceful tranquility of the Monastery but there will be an opportunity in future for the subdivision and sale of perimeter land surplus to the needs of the monastic life of the Sisters. Our Lady of Grace Monastery was initially founded by French Trappists in 1825, sorrowfully abandoned by them in 1919, occupied by Augustinian Fathers and Brothers from 1938 until 1999 and occupied by Maronite Monks from 2000 until 2007. In 2007, the Contemplative Augustinian Nuns from Rome received an invitation to move into the Monastery. The Nuns dedicate their life to prayer and a mission that includes the preservation and maintenance of the historic monastery and Our Lady of Grace Shrine. During their seven year presence at the Monastery, the Maronite monks spent significant capital on upgrading the Chapel and the exterior shell of the Retreat House. The environmental compliance cost of deconstructing the Retreat House is prohibitive. However, there is deferred maintenance to be addressed on the mechanical infrastructure of the Motherhouse to both meet the current accommodation needs of the Sisters and provide a scalable solution to allow for possible future utilization of the Retreat House for new vocations and provision of a spiritual oasis for the Diocese of Antigonish and beyond. The interior of the retreat house is showing its age, particularly in sections of the right wing of the building which have been isolated and not used for several decades. Plumbing fixtures, electrical service lines and furnishings should be upgraded before this area could be returned to functional use. The left wing of the building is in fair condition but problems with the heating system have restricted the use of this area to the fair weather months of the year. The most pressing mechanical need at this time is for elimination of the inefficient wood fired furnace which after years of use is in a very deteriorated condition. A local engineering firm has recommended removal of the wood furnace and replacement with two propane fired boilers to supply the hot water heat distribution systems serving the retreat house and chapel. The utilization of two boilers would create a heating system that could be scaled up or down depending on the season and the areas of the monastery in use. There are five isolated heating zones each controlled with shut off valves and independent circulating pumps. Although propane is more expensive than oil by volume, it produces heat more efficiently and with less carbon dioxide emission. Local engineers have identified the removal of the wood furnace and the installation of replacement boilers as the number one mechanical priority at the monastery. A quote in the amount of $235,750 has been received from a local firm for the supply and installation of two propane fired boilers in the spring of 2019. We have established a heating system replacement budget figure of $300,000 to allow contingency for removal of the wood furnace, removal of oil tanks and boiler room structural repairs. The Augustinian Nuns are resigned to living in a small area of the monastery this winter using a combination of heat pumps, space heaters and the inefficient wood furnace with a back up diesel fired generator for use when there is no power. A small make shift chapel has been prepared for celebration of Mass by visiting priests. The required financial resources for the acquisition and replacement boiler installation are beyond the means of the Sisters resident at the monastery who are dependent on Divine Providence for their daily sustenance. 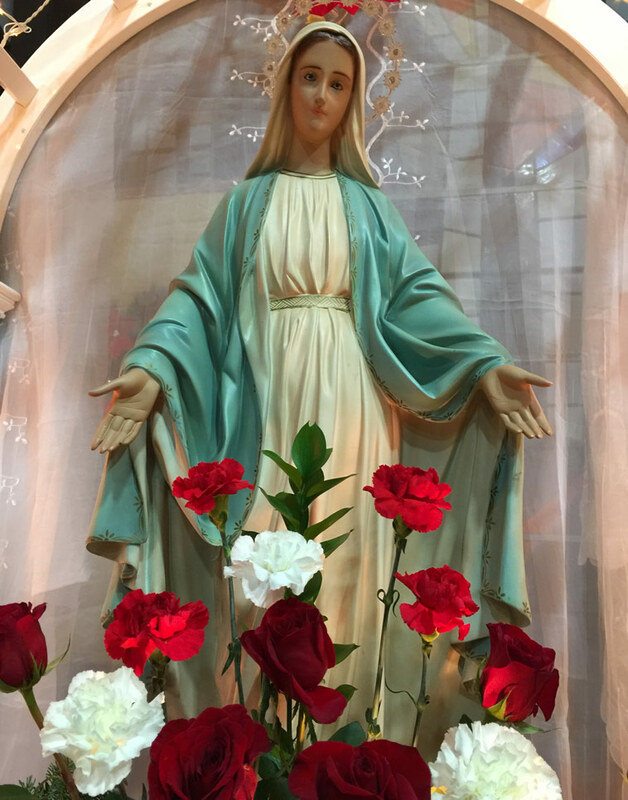 It is difficult to ask the friends and supporters of the Monastery for financial assistance but the survival of Our Lady of Grace Monastery is now dependent on financial support. The Augustinian Contemplative Nuns are a registered charity in Canada and can provide official receipts for income tax purposes.